This is a coloured envelope neck bodysuit / vest especially designed so that it does not pull your baby's ears off. It has popper fasteners at the bottom for easy dressing. 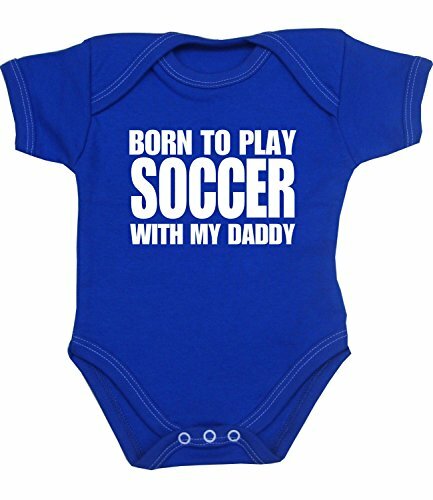 This is a quality UK made garment printed with 'Born to Play Soccer with my Daddy' slogan . It is made from 100% Cotton and machine washable at 40 degrees. Available in sizes newborn, 0-3, 3-6, 6-9 and 9-12 months in a choice of candy pink, royal blue, emerald green or red.